From Inverness: (about 45 minutes) North on the A9. Turn right at the Nigg Roundabout onto the B9175. Through Arabella village, take a left turn signposted 'Shandwick, Balintore, Hilton'. After about half a mile take a right turn signposted 'Nigg Village, Pitcalnie'. You will pass a redundant church on your left. A mile past the church opposite a row of cottages on your left, take a right turn into the road marked 'Private Road and Wemyss House'. 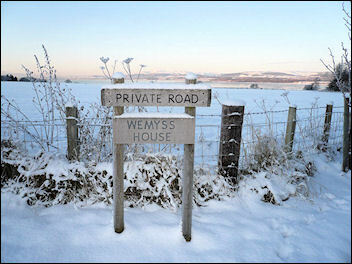 Wemyss House is on your right.